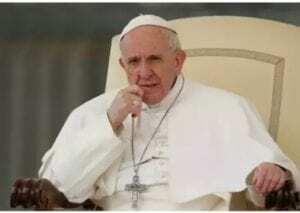 Following prolonged conflicts and crises all over the world, Catholic pontiff has enjoined all Christians to get involved in fasting and prayers. Pope Francis has invited Roman Catholics, all Christians and members of other religions to observe Feb. 23 as a day of prayer, fasting and initiatives for peace. Francis while addressing tens of thousands of people in St. Peter’s Square for his weekly blessing, on Sunday urged everyone to ‘say no’ to violence and conflict. According to him, the appeal is because of the “tragic prolonging” of conflicts around the world. He specifically invited non-Catholics and non-Christians to join the initiative in any way they saw fit, “but all together .